Too few oral health care providers are seeing children under the age of 3. 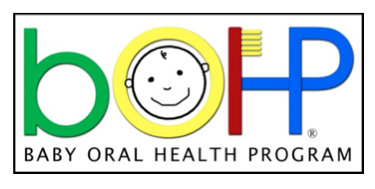 The University of North Carolina at Chapel Hill and the developers of the Baby Oral Health Program have created a couple of very helpful videos for dental health care providers to boost confidence and competence in delivering preventive oral health services for young children. Click here to watch the bOHP Provider Training Videos. While you are on the bOHP site, go to PROVIDER REGISTRATION on the top right of the screen and register as a provider. Registration is free. Led by Professor B.T. Amaechi, researchers from the University of Texas Health Science Center at San Antonio recently presented their findings that The Canary System® has superior diagnostic efficacy in detecting proximal caries compared to conventional methods including bitewing radiographs. The findings were presented July 2-5, 2014, in Greifswald, Germany, at the 61st ORCA Congress (European Organization for Caries Research), and were published this month in Caries Research. 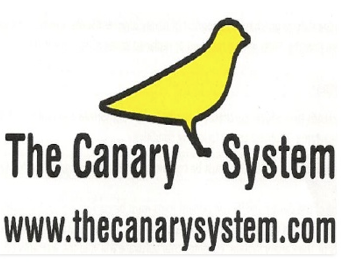 The researchers concluded that The Canary System had greater sensitivity (0.933) compared to visual detection (0.733) using the International Caries Detection and Assessment System (ICDAS) II and bitewing radiography (0.267). When examining early lesions specifically, the highest negative and predictive values among all methods were for The Canary System at 89.2% and 88.9%, respectively. They concluded that The Canary System can be a valuable method for proximal caries lesions diagnosis. This independent study along with the over 60 peer-reviewed publications, 14 case reports and 2 Health Canada approved clinical trials validates The Canary System as an accurate, repeatable, and safe device for the detection and monitoring of caries on all tooth surfaces, around the margins of restorations and beneath the intact surfaces of opaque sealants. The Canary System’s crystal structure diagnostics has become an essential diagnostic tool in dental practices in the US and Canada. Please visit www.thecanarysystem.com or email sales@thecanarysystem.com to request additional information. Our surroundings influence how we come together and how we come together in turn influences how we speak with one another. Knowing these fundamental facts, Dr. Ian McConnachie, Dr. Clive S. Friedman, Dr. Stephan Abrams and myself, Dr. Marielle Pariseau, launched a workshop this morning to facilitate a different kind of working conversation at the heart of ASM14, the Ontario Dental Association’s Annual Spring Meeting. This workshop embodies a different way of learning that has the capacity to engage and empower our membership in dealing with the many concerns that have been identified with regards to the present and future of dentistry. It models an agile style of leadership that sees a leader in every chair in the room and it uses conversation as a core process around questions that invite all participants to make choices today to positively influence the future of dentistry. We put a lot of thought in creating a space for this workshop that would give participants a new perspective, a sense of belonging, of connection with their inner wisdom and that of others around them. A space to inspire participants to move from knowing deep inside what to do, to talking about it, and to actually doing it. 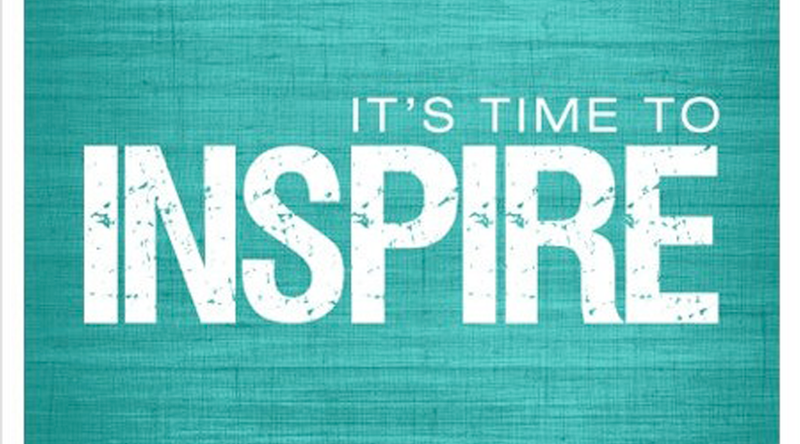 If you were not a participant this morning, May 9 2014, we welcome your comments too. However, if you find it difficult to express your inner wisdom in writing, we understand. This is normal. We learn to speak before we learn to write and this is WHY we created this workshop, to give dentists a chance to speak first. You may want to contact us to explore the possibilities of hosting a Shaping the Future of Dentistry workshop at the heart of your dental community. Professor Andreas Mandelis, Co-Founder of Quantum Dental Technologies (QDT) and Co-Inventor of the core technology behind The Canary System, is the winner of the 2014 Killam Prize, one of Canada’s most prestigious scholarly awards. The Killam Prize recognises outstanding career achievement by scholars actively engaged in research. From the University of Toronto’s Faculty of Applied Science and Engineering, Mandelis is a world leader in the field of diffusion-wave and photoacoustic sciences. Professor Mandelis’ groundbreaking research puts him at the intersection between the exciting fields of engineering and applied physics – a combination that attracted him because of its wide potential for applications. By blending these two research fields, Mandelis and his team are able to see small differences in the human body or manufacturing materials that have gone previously undetected. Professor Mandelis’ discovery and development of the core technology behind The Canary System, PTR-LUM, uses energy conversion technology to analyze infrared and luminescence signatures in order to provide information on the condition of the tooth structure. Unlike fluorescence-based devices that reveal the presence of bacteria close to the tooth’s surface, The Canary System identifies abnormalities in the crystal structure of the tooth up to a depth of 5mm. It can also pinpoint cracks that are causing pain and sensitivity. No other caries detection device on the market has these capabilities. Please visit www.thecanarysystem.com for additional information. ARE DENTISTS FED UP YET? April 28, 2014 / 1 Comment on ARE DENTISTS FED UP YET? “Fed Up” was a hot topic during the Sundance Film Festival this year. The movie exposes how the food industry replaced the fat content in “light” and “low fat” food items with sugar. Medical experts and powerful newsmakers also expose the relationship between the food industry and the US government. One of the facts that caught my attention is the time frame during which the shift from fat to sugar began: in the late 70’s. In the early 80’s the benefits of water fluoridation reached a plateau. Dentists assumed at the time that the plateau indicated the limitations of water fluoridation. But knowing that the frequency of carbohydrates consumption leads to an increase in numbers of acidogenic bacteria, I am now thinking that the fluoride added to community water supplies was no longer able to cope with the new challenge. Today, while many parents consider cereals a healthy way to start the day, most breakfast cereals contain so much sugar, they should be labelled as dessert. Another fact that shocked me was that the World Health Organization’s recommendation from 2002, that sugars should make up less than 10% of total energy intake per day was not only silenced by the food industry, but increased to 25%. The film follows the lives of a group of obese children over the course of two years as they diet and exercise in an effort to become healthier. Some scenes are heart breaking. Interestingly though, there is not a single mention of the caries or early childhood caries epidemic. Nothing new here. Oral health is seldom included in total health. But what if dentists could reverse this state of things? Are dentists Fed Up enough of being left out of the health equation to do something about it? Are we ready to take a stand against sugar to finally connect the mouth to the rest of the body? Fed Up opens in theatres across United States on May the 9th. An eye opener on what is making America so sick, caries not included. Dentists, see the movie, support the WHO’s recommendations regarding maximum daily sugar intake and embrace the FDI’s vision of oral health as the foundation to overall health.